Will the food manufacturing industry be a catalyst for economic growth? In recent years, it is fair to say that the Australian economy has been in fits and starts. With a continuing hangover from the last global financial crisis and domestic political uncertainty, many experts are looking towards 2016 as a shining light. According to the most recent Roy Morgan Business Confidence Survey, the number of businesses that believe that the next 12 months will be great for enterprise growth and investment is above the five-year average and continues to be positive. However, with various elements of the national economy not firing on all cylinders, it is important to pick out certain industries which are primed for activity heading into the new year, one of which is food and agriculture. 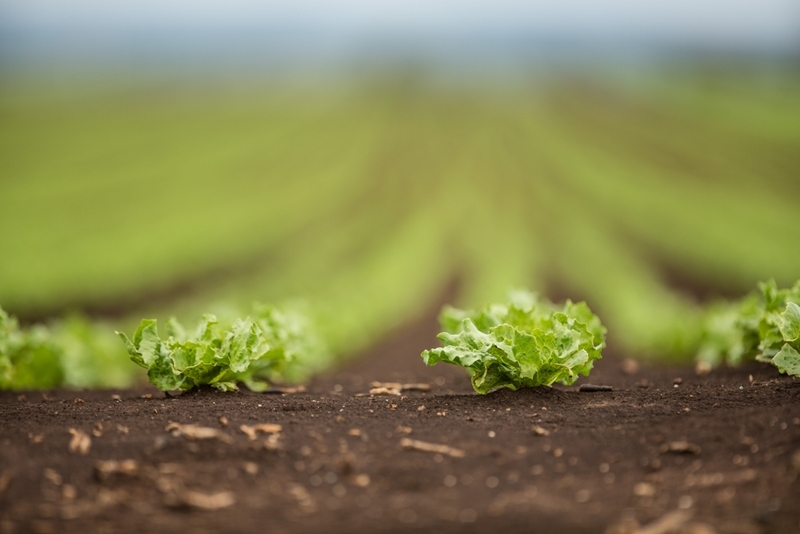 Based on BankSA's economic bulletin published with Deloitte, the state of South Australia could be in line for a significant economic windfall over the coming years thanks to its flourishing food and agriculture industry. The bulletin noted that the sector contributes a growing 6.5 per cent of employment opportunities - higher than both the car and defence manufacturing sectors combined. "South Australia's premium food industry is already a success story which has enormous potential to expand even further." BankSA Chief Executive Nick Reade explained that the agribusiness sector is seeing positive demand for food from overseas, a trend that will continue well into the next decade. As such, the industry could become the largest workforce across South Australia. "Agribusiness is a future growth industry and South Australia's enviable reputation for producing clean, green food for the premium food sector is a strength that can't be readily replicated in many other parts of the world," Mr Reade said. "The opportunities in selling to Asia's rising middle class are enormous, and they have been further enhanced by new Free Trade Agreements with Japan, Korea and China." According to BankSA, the state's agricultural commodities topped $5.9 billion in total value in the 2013-14 financial year. This included everything from seafood and dairy to livestock and crops. Making up 5 per cent of the state's economic output, there are certainly expectations that this will soar in the months and years ahead. "South Australia's premium food industry is already a success story which has enormous potential to expand even further," Mr Reade added. Food is a growing part of the Australian economy. Of course, potential will stay potential if businesses within this industry don't innovate and continue to advance their operations. To help in this regard, the move from the federal government to create the National Innovation and Science Agenda should help leaders make the most of this advancing sector. This announcement certainly captured the imagination of AUSVEG, which represents the thousands of vegetable and potato growers. In a December 8 statement, AUSVEG spokesperson Shaun Lindhe described the commitment as "exciting" with the hope that Australia will turn into a country of technological innovation and ideas. "This commitment to innovation can also be hugely beneficial for Australian growers, who are already considered world-leaders in applying ground-breaking research and development (R&D) in the field and in their businesses," he said. "The future in agriculture will be driven by further innovations in productivity and technology, with incentives such as the National Innovation and Science Agenda an important driver for agribusinesses, researchers and other entrepreneurs to bring new and creative ideas to life." As the innovation policies take shape, understanding the state of the food manufacturing sector is important for business leaders. By analysing the Australian Industry Group/Australian Performance of Manufacturing Index, enterprises can get a good gauge on their industries' overall performance and where possible improvements could be made. In the latest edition, it was pleasing to see that the overall manufacturing sector grew 2.3 points to 52.5 points. Similarly, the food and beverage sub-sector also expanded 2.7 points to reach 52.4 points. "The more positive conditions are due to the more competitive level of the Australian dollar; the considerable cost savings and other efficiencies that manufacturers have introduced over recent years," Ai Group Chief Executive, Innes Willox explained in early December. It has been a great year for the manufacturing industry as a whole, with Ai Group's results marking the fifth straight month of expansion. This is a record that hasn't been reached since 2010, the year after the last global financial crisis. As stated earlier, the food manufacturing sector is a critical part of the national economy and is expected to feature highly in 2016. Statistics from the Department of Industry, Innovation and Science suggest employment and value is on the rise as well as demand from overseas. With this in mind, leaders need to streamline their operations through business Intelligence software - capable of improving productivity, compliance and revenue. At Advanced Business Manager, we are committed to the food manufacturing industry and have a number of services which benefits enterprises of all shapes and sizes. For more information on making 2016 a year to remember, contact our expert team today.